Technology always brings change and often replaces tasks, but over the long-term it creates jobs through growth and the new skills needed. 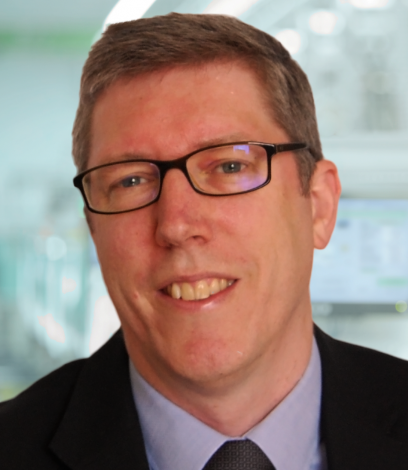 Steve Brambley from GAMBICA, the Trade Association for Instrumentation, Control, Automation and Laboratory Technology in the UK, shares his thoughts on negative headlines and why automation investment is creating jobs in the sector. What image comes to your mind when you think of automation? Robots? Robots replacing people? Terminator ‘replacing’ people? Depending on your choice of newspaper or website, you may have seen a number of headlines predicting a widespread risk of the bots taking over all of our jobs. Behind the headlines are often one-sided reports that only consider the potential job displacement but not the positive angle of jobs saved or created. Even when a more balanced report is published, the headlines tend to go for dystopian melodrama – bad news sells. History shows us that automation technology is a key driver of efficiency and productivity, enabling manufacturers to be more competitive, grow their markets and ultimately increase employment, not only in their own business but also in their supply chain and service providers. It is also worth pointing out that most automation is not robotics, but is intelligent control devices, processors, sensors, software and communication. Rather than replacing people, most automation helps people do their job better, quicker, safer and greener. Throughout history, people have expressed concern about technology replacing jobs, from the early days of mechanisation in weaving and agriculture, through to office computers and automated factories. It is true that some tasks are automated and also true that some jobs are displaced, no disagreement there. However, in every wave of technological development, there has never been a large-scale increase in unemployment. Following a literature review of over 80 studies in this field, we have concluded that the net effect over time is that more jobs are created by technology than displaced – managed properly, the concern is not thousands of people out of work, but how best to reskill and re-deploy those affected. The UK is in a strong position to be at the forefront of industrial digitalisation, variously known as Industry 4.0, smart manufacturing or Internet of Things amongst other names. The vision is for manufacturers to benefit from production techniques that enable low-cost small batch sizes, localised manufacturing and mass customisation. To make this a reality, we need to encourage a business culture change – to get industry and government partnering in long-term, strategic thinking around investment and growth. I’d like to address the commonly expressed assumption that automation replaces employees. It is not difficult to find examples of some jobs that have been displaced or reduced by computers and machines. We have noticeably fewer typists and farm workers than we did several decades ago. However, that is only part of the equation – like considering the expense on the accounts without counting the revenue. The technology that replaced typewriters and scythes also improved productivity, reduced costs, improved working conditions and generated new and interesting jobs and in some cases whole new industries. Less typists on one hand but more computer scientists, software engineers and programmers on the other. The UK unemployment rate was 11.9% in 1984 – the internet revolution may have transformed retail, banking, travel and communication, but with current unemployment at 4.4% (the lowest since 1975) it can’t be said to have had a negative effect on jobs. Industrial digitalisation and automation are often integrated into manufacturing for wider and more positive reasons than reducing headcount. The technology is frequently used to augment the workforce to increase their productivity and output to meet orders and growth into other markets. It is not uncommon that automation is used to carry out dangerous and unpleasant tasks, such as repetitive handling of heavy loads or working in paint-shops or nuclear plants. 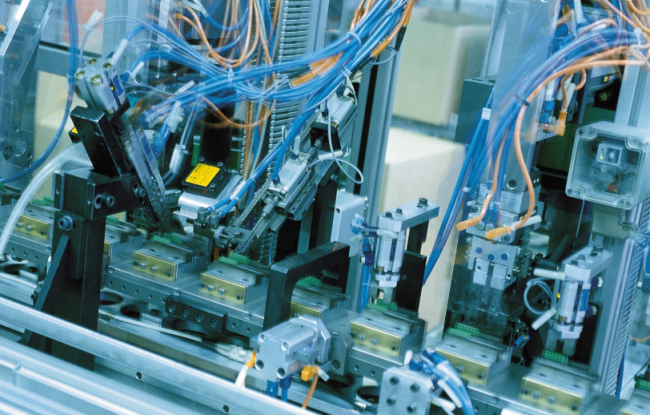 Repeatability and accuracy are areas where technology helps to reduce errors and waste. 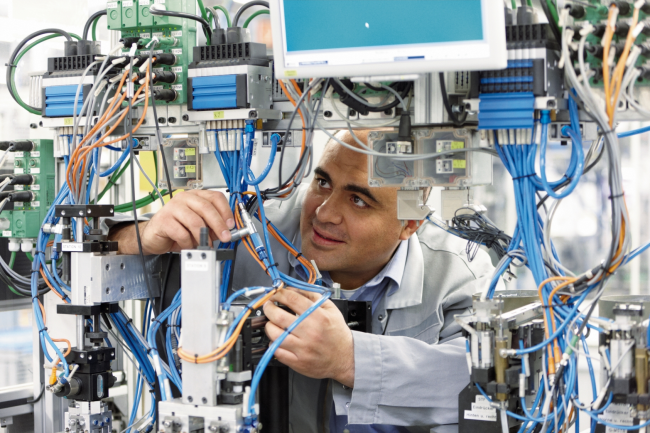 Real-time control helps processes to use less energy and create less pollution. These are all benefits that contribute to productivity and growth, not downsizing. Further, many UK jobs have been and continue to be safeguarded by automation, especially where competition between sites in multi-national companies means that productivity is used as a measure for considering the next country to make an investment in. At a broader, national level, growth of jobs in the manufacturing sector leads to increased employment in the supply chain too. Indirectly, this will also boost service providers, from logistics, IT and payroll to hotels, taxis and caterers. The danger is that scaremongering headlines create a false narrative on the impact of automation on jobs. Such a misunderstanding of the bigger picture could be a barrier to the UK taking leadership in the new industrial revolution.